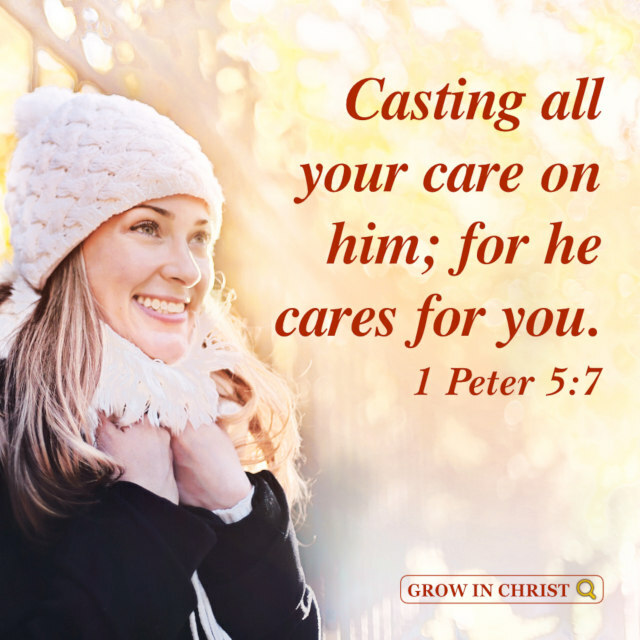 God says,“All beings created by God—no matter if they are fixed in one place or have breath and can walk—they all have their laws for survival. 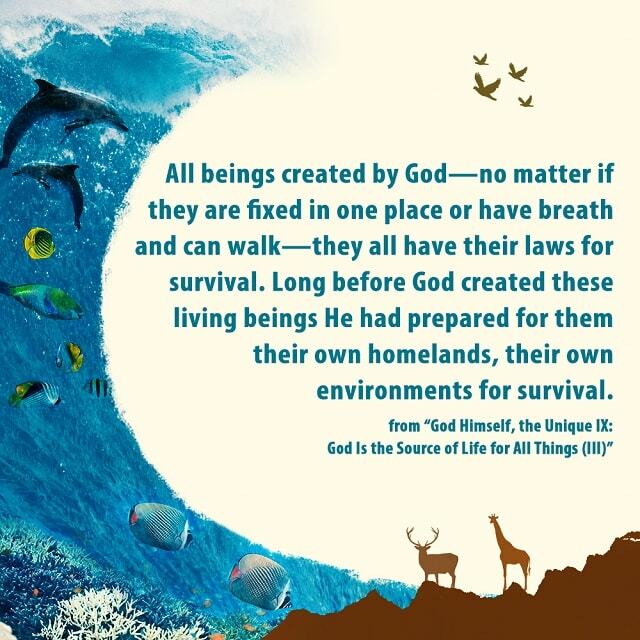 Long before God created these living beings He had prepared for them their own homelands, their own environments for survival” ( “God Himself, the Unique IX: God Is the Source of Life for All Things (III)”). 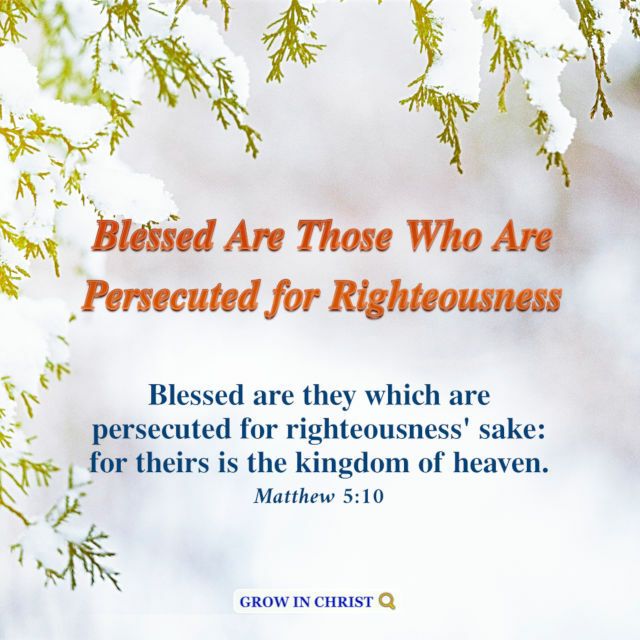 God says, “What does faith refer to? Faith is the genuine belief and the sincere heart that humans should possess when they cannot see or touch something, when God’s work is not in line with human notions, when it is beyond human reach. This is the faith that I speak.. 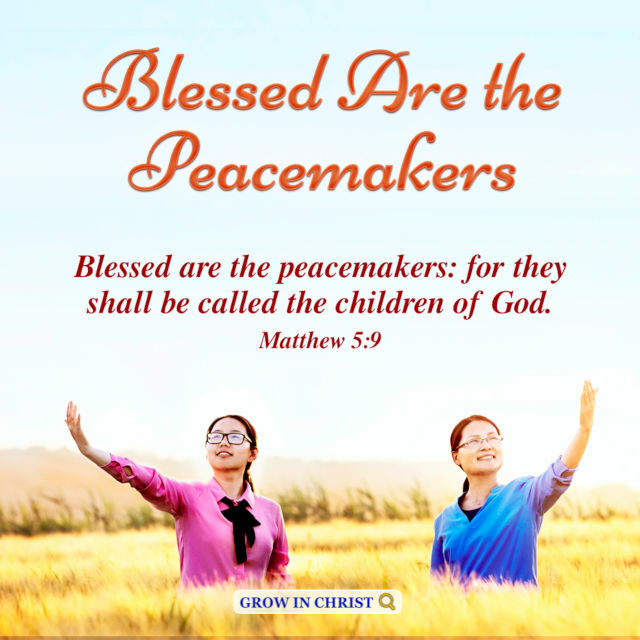 The Holy Spirit works by this principle: Through people’s cooperation, through them actively praying, searching and coming closer to God, results can be achieved and they can be enlightened and illuminated by the Holy Spirit. “A marriage is not the product of both members’ families, the circumstances in which they grew up, their appearances, their ages, their qualities, their talents, or any other factors; rather, it arises from a shared mission and a related fate.